Materials: B flute (150gsm wave) + 350gsm CCNB, E flute+300gsm CCNB for the facial part. 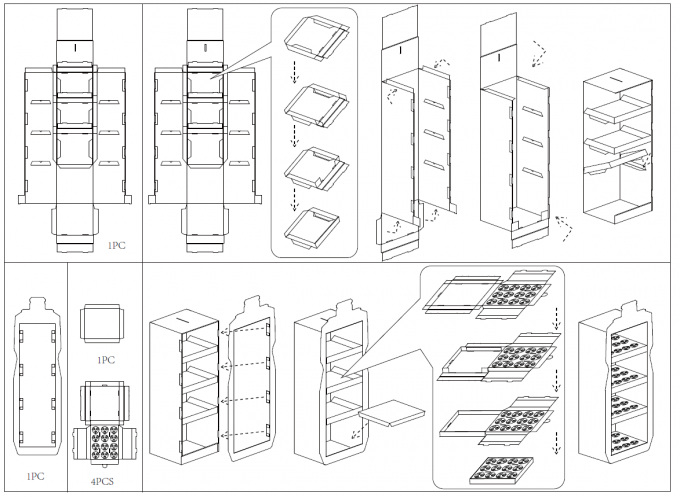 1) without metal supporting bar, still strong to load 5kgs per shelf owning to good solution about structure. 2) If have different shape of bottles, no need to change the mean display, help save cost. 3) Easy to buld up, only need 2 mimuts to assemble it well. 4) Large room for advertising. 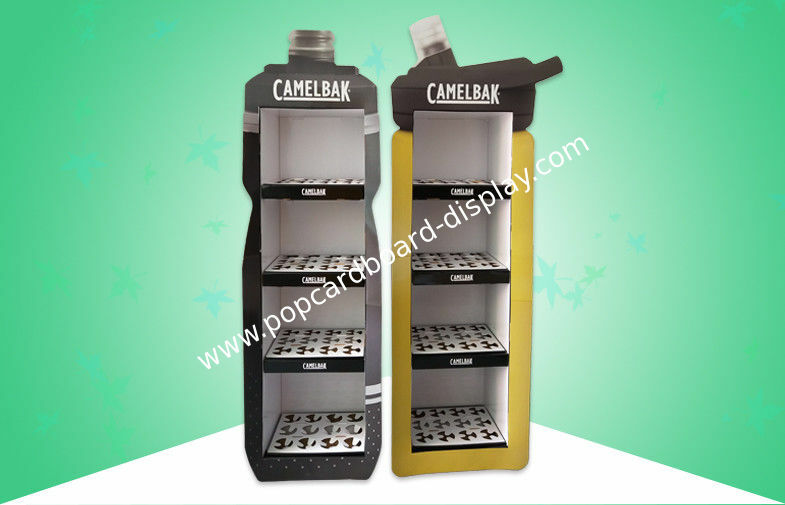 China Good Quality POP Cardboard Display Supplier.